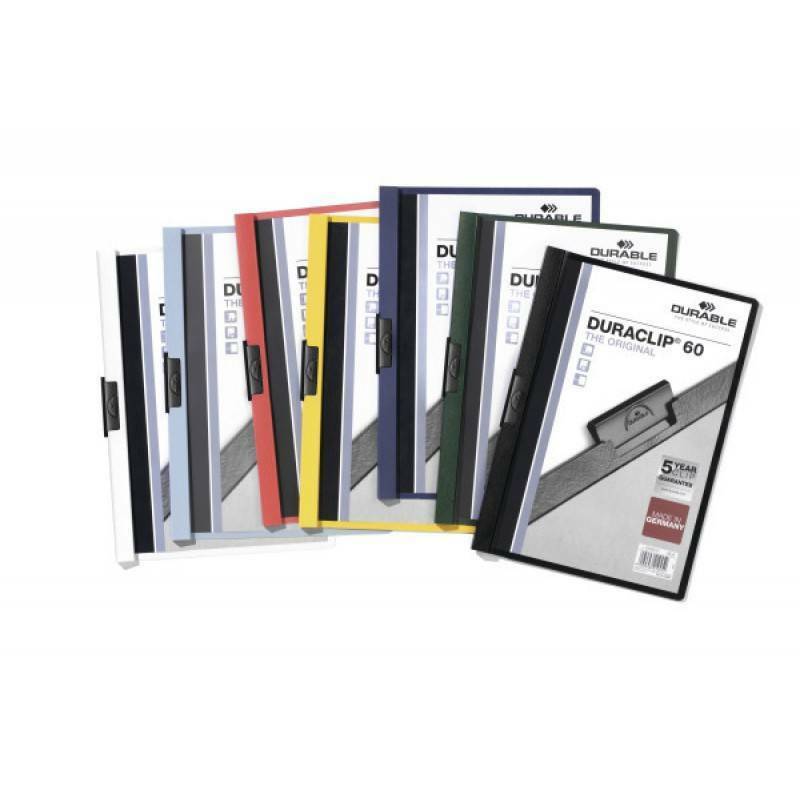 With transparent front cover and coloured back and spine. 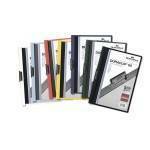 Capacity: 1-60 sheets A4. 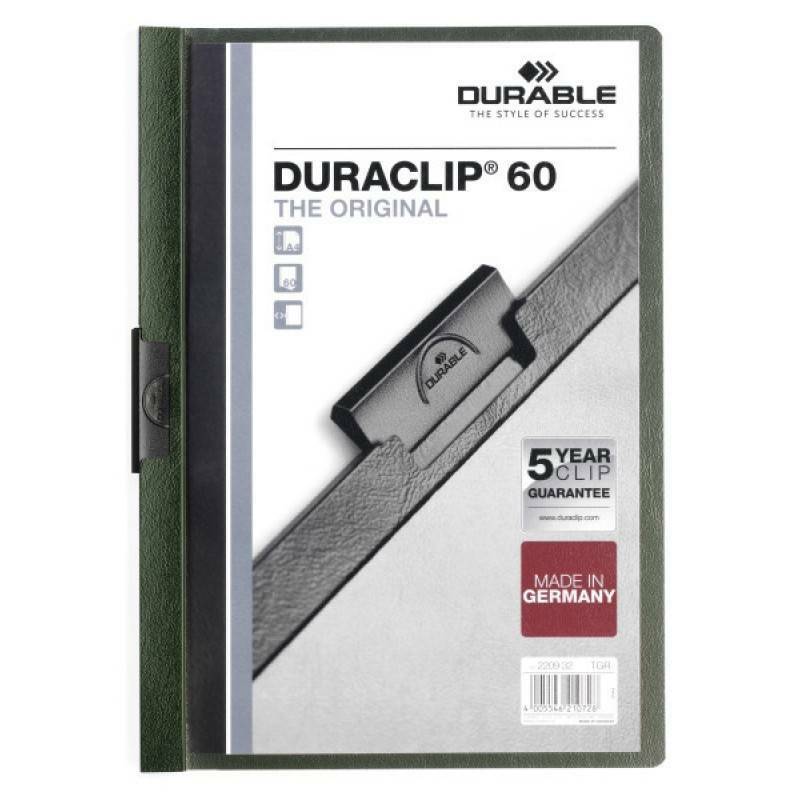 Now with 5 year clip guarantee. 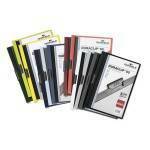 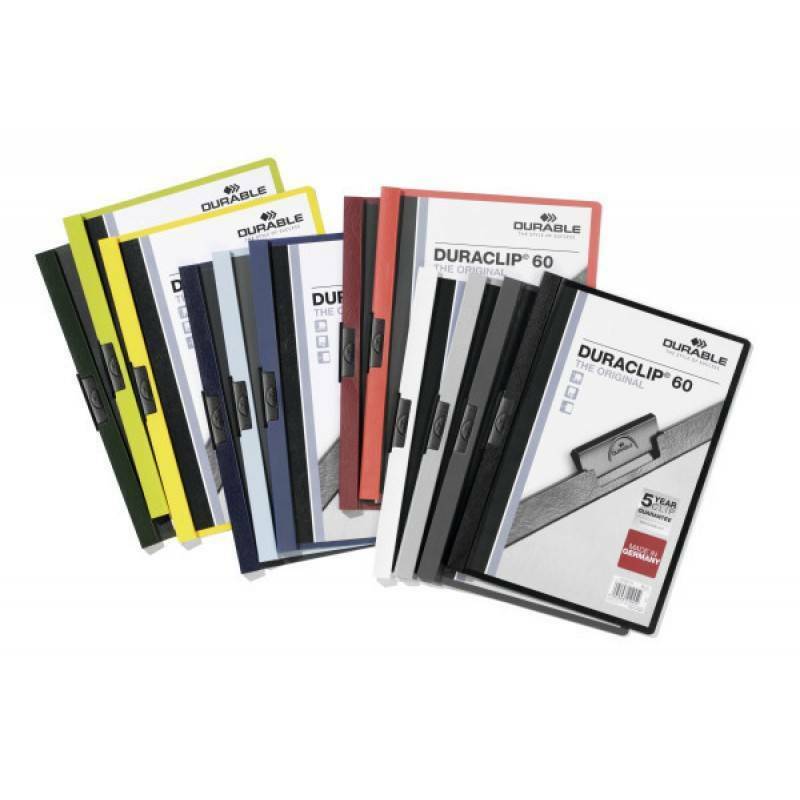 DURACLIP is ideal for quotations, reports and seminar notes as well as for storing documents in the office and home.